For Busy People Who Want More From Life! Sounds Of Solace Music nutrition is unlike any other relaxation and brain enhancement music. Music Nutrition Sounds Of Solace relax the listener by using specific rhythms, tones, frequencies and intervals. These sounds raise your ability to heal and recuperate quickly. Through bone resonance and how your body receives sound waves, our music has a tremendous effect on your biorhythm, your brain, your soul, mind, and body. In fact, you instantly retrain your body and reduce anxiety and stress when in coherence with these sounds and audio programs. Music Nutrition’s calming sounds are all created, synchronized and have recorded biorhythms within the human body to help you quickly fall into instant calm and have a quality sleep waking up feeling rested, energised and alive! With the combination of colour, music scales, vowel sounds, frequencies, we are able to relate them to intended emotions and energy centres for that specific scale so that success, focus and creativity are increased and achieve the results you want. Get yourself a FREE track from our Best Selling meditation guide Letting Go Of Anxiety and Stress! Letting Go Of Anxiety and Stress contains 9 tracks that are guided and very practical in helping you apply techniques in everyday situations both managing and preventing stress. We're giving the first track for free so that you can experience the difference first hand and will help you decide if you need the rest of the tracks. Would you like to receive helpful tips and information, special offers, and upcoming events from me, Anikiko? Click here to join my newsletter. We aim to help more people by introducing the idea of musicnutrition, educating on how it could help enhance your inner being, and inspires those who needs it. Feel free to send us an inquiry here, we'll personally look into it and see how i could help you. 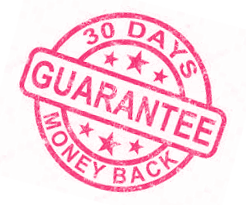 We take pride with our work, which is why we're confident to offer you 30 Days Money Back Guarantee in any of these packages! From Our Best Selling Recorded Meditation! Letting Go Of Anxiety and Stress contains 9 tracks that are guided and very practical in helping you apply techniques in everyday situations both managing and preventing stress.